While the Cold War raged on, cracks in the facade began to appear. This section explains the fall of the Soviet Union and the end of communism, and the resulting political, economic and societal shifts which brought about major conflict and change both in former Soviet states and in Western Europe. After Stalin’s death in 1953, he was succeeded by Georgi Malenkov, and then Nikita Khrushchev. In 1956, Khrushchev (as First Secretary of the Central Committee of the Communist Party) made a secret speech to the congress condemning Stalin’s regime and dictatorial rule. Shortly thereafter, he began to implement a series of reforms know as the thaw. These reforms included transforming Soviet foreign policy to that of “peaceful cooperation” with the West, and destroying the GULAG system and releasing thousands of political prisoners who had been incarcerated under Stalin. “Destalinization” continued after Khrushchev became prime minister in 1958. Despite these reforms, anti-communist uprisings and general anti-government dissent in the Republics were strongly and violently suppressed. Massive uprisings in East Germany and Hungary worried Communist Party leaders who decided to slow down the processes of political liberalization. SSR leaders and writers who advocated nationalism and independence for their countries were arrested and imprisoned for up to 15 years. Leonid Brezhnev succeeded Khrushchev as prime minister in 1964. Most of the reforms of the thaw were cancelled and Brezhnev re-centralized the government, hoping to stem the tide of nationalism that continued to grow in the Republics, particularly in Ukraine. In 1968, Warsaw Pact troops invaded Czechoslovakia to suppress independence movements there under the auspices of the Brezhnev Doctrine, which gave communist countries the right to intervene in the affairs of other communist governments whose policies threatened the common communist cause. In the 1970s the U.S.S.R. and the United States negotiated the nuclear arms race, signing Strategic Arms Limitation Treaty (SALT-I) in 1972 (Brezhnev and Nixon) and SALT-II (Brezhnev and Carter) in 1979. SALT-I also included the Anti-Ballistic Missiles treaty (ABM). Both treaties limited the amount of nuclear missiles each country could have and how they could potentially be used. Based on these limitations, both countries revised their nuclear strategies; the U.S.S.R. focused on developing larger missiles while the U.S., focused on more accurate missiles for specific targets. Therefore, the terms of the SALT-I treaty needed to be renegotiated, and the new terms of SALT-II set specific numeric limits on each type of missile. It was signed in 1979, but never ratified by the U.S. Senate, though both sides did voluntarily observe some of the terms. The Senate’s ratification debate of SALT-II coincided with the Soviet invasion of Afghanistan, and U.S. immediately pulled the treaty off the table. Since the end of WWII, the Soviet Union had used Afghanistan as a strategic buffer zone between itself and U.S.-aligned Pakistan and the Persian Gulf. The Soviet Union finally invaded the country in 1979 to solidify its military position, and to access trade and oil routes. The Afghan monarchy had recently been overthrown by two leftist parties who aligned themselves with the Soviet Union. These leftist parties imposed military and social reforms that were extremely unpopular most of the country’s Muslim urban and tribal populations, some of whom formed rebel groups, or the mujahedeen. However, there was much internal conflict between the two parties now in power, and the Soviet Union invaded to stop both the mujahedeen uprisings and the internal power struggle. The war quickly devolved into a stalemate, and lasted for 10 years. More than 100,000 Soviet troops occupied major urban areas and large towns, and tried to crush the mujahedeen who were engaging in guerrilla war tactics, hiding out in the vast mountainous countryside and largely escaping Soviet attacks. The United States eventually backed the rebels, supplying them with anti-aircraft missiles to stop the Soviet’s bombardment of rural areas believed to be mujahedeen strongholds. 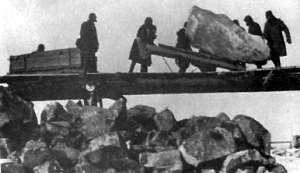 The war drained the Soviet Union’s already-faltering economy, and discredited the strength of both the Soviet army and the government on the global stage. In addition to the United States pulling out of SALT-II, the United Nations condemned the war, and several countries boycotted the 1980 Olympics in Moscow in response to the invasion. 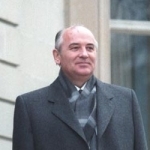 Mikhail Gorbachev became General Secretary in 1985. He recognized dire economic and political situation in the Soviet Union and pledged to reform the economy and modernize the government. He signed a peace treaty to end the war and remove all Soviet troops from Afghanistan by February 1989. 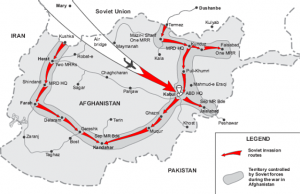 The end of the Soviet-Afghan war left the country’s infrastructure in disrepair, a million Afghanis dead, and more than three million Afghani refugees displaced in surrounding countries. Gorbachev enacted two government reforms known as Glasnost and Perestroika. Glasnost reforms allowed for more freedom of speech and government transparency, a drastic change from the policies of his predecessors. Anti-Soviet dissenters and nationalist parties in the republics seized this opportunity to protest and gather support for their independence movements. Perestroika involved restructuring and modernizing the Soviet economy, reducing government control of industries and allowing some privatization. However, the rapid institution of both Glasnost and Perestroika was a bit of a shock to U.S.S.R. citizens who were unsure of how to act without strict government regulations and oversight, leading to even more social unrest. The Soviet Socialist Republics used their new freedom to feed growing independence movements. Latvia, Estonia and Lithuanian were the first to demand freedom in 1989. Armenia, Moldova, Ukraine and Georgia quickly followed suit. In 1990, the Communist Party voted to end one-party rule, opening the government to direct political opposition, and the newly created legislative body, the Russian Soviet Federated Socialist Republic voted to officially leave the Communist Party of the Soviet Union (CPSU) and declare Russian sovereignty. The independent RSFSR (now Russia) held elections, and Boris Yeltsin became the first popularly elected president. In a final attempt at keeping the Soviet Union together, CPSU hardliners staged a coup in August 1991, kidnapping Gorbachev and ordering the military to suppress all protests. When the military refused to violently engage with its own people, the coup failed. Russia replaced the now-irrelevant Soviet Union at the United Nations, and took over its seat on the Security Council. Gorbachev resigned his leadership to Yeltsin who completely eliminated the CPSU, and officially dissolved the Soviet Union on December 24, 1991. Need some help? Try these flashcards to keep your facts straight!